Stephen Miron is the Group Chief Executive of Global, the music and entertainment company. Stephen joined Global in December 2008 and is responsible for running Global Radio, Global Entertainment and Global Television. Global Radio is Europe’s largest commercial radio company and owns some of the biggest stations in the UK including Heart, Capital, Classic, Smooth, LBC & Radio X. 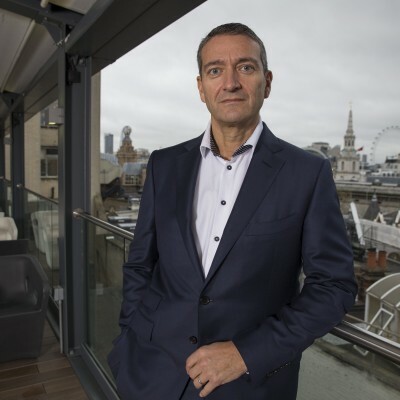 Before joining Global, Stephen worked at DMGT where he was Managing Director of the Mail on Sunday & Mail Digital in 2007. Stephen's main charity work is focused around Global's Make Some Noise which gives a voice to small charities across the UK who struggle to get heard. He is delighted that part of this fund raising will go to support these worthy charities. Between now and the night itself, we’re also working towards an amazing £2 million fundraising target, which will be used to tackle food waste and provide food education to people throughout the UK. The funds raised will be donated to food waste charity UKHarvest and will be used by the Jamie Oliver Food Foundation to support food education schemes. Money raised will also go to our very own charity Globals Make Some Noise so all donations will be very gratefully received by some very special charities.